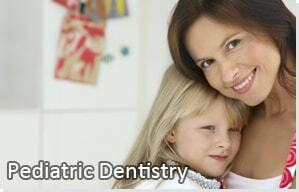 Thank you for choosing our office for the dental care of your child. We believe it will be a wonderful experience for both you and especially your child. Our office specializes in children’s dentistry and we do so by emphasizing a fun, upbeat, nurturing and relaxing environment for the children. You will immediately notice a different and unique atmosphere the minute you walk into our office. Whether it is your child’s very first visit to a dentist or just their first visit to our office, we want to make them feel comfortable and know this is a great place for them. We want your child to have a great experience at our office. The first visit to our office is designed to allow the child to be introduced to the dental office in a non-threatening way. This visit normally consists of “pictures” (x-rays), “counting” (exam) and “brushing” (cleaning). It will allow the child to become familiar with the environment and allow them to establish rapport with Dr. Bowden and his team. Prior to your appointment, you may go to the “Forms” section on our website and fill out the necessary information we will require from you. However, when you arrive, if you have not filled out the necessary paperwork online prior to the visit, you will be given a short information form to complete. Once this is completed, our office staff will generate a patient chart on the computer. Our office is a “completely paperless” office so all information is stored on our computers. During this time, you will be given a “Welcome to Our Practice” booklet which we will ask you to read. This booklet outlines and explains all the philosophies and policies of our office. The New Patient Coordinator will then greet you and accompany you and your child to the new patient examination room. She will explain the examination process and will review any significant medical and dental history with you. Once all medical and dental histories have been reviewed and all questions are answered regarding our office, you will be asked to electronically sign the initial exam forms that you have been given and explained. At this time, on any child where X-rays are indicated, the New Patient Coordinator will explain what X-rays are necessary. 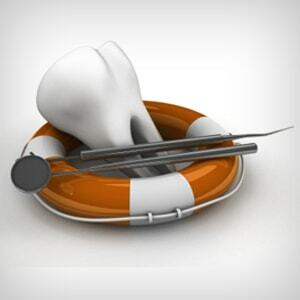 Only the necessary X-rays which Dr. Bowden will need to properly diagnose any dental conditions will be recommended. In addition, our office uses digital X-rays, which significantly reduces radiation to a negligible amount. The X-ray Coordinator will accompany your child to the X-ray area and complete the indicated X-rays. The child will then be lead to the hygiene area where 1 of our 3 Registered Dental Hygienists will complete their cleaning. As the child is receiving their cleaning, Dr. Bowden will complete the examination and check the X-rays. Once the child has completed the cleaning, the New Patient Coordinator and Dr. Bowden will accompany the child back to the new patient exam room to discuss the findings and explain any necessary treatment with you. In the case of an infant or toddler, the child will remain in the new patient room with you and the hygienist will come to the new patient room to complete the cleaning. Dr. Bowden will then follow with the exam and consultation in that same room. The age of the child and cooperation level will determine the type of cleaning that will be performed. Generally, children under 3 years of age are more receptive at their first visit to a toothbrush cleaning with progression to the rubber cup cleaning in the future. With older and more cooperative children, a rubber cup cleaning will be performed. Once Dr. Bowden has completed his examination, he will explain and discuss his findings and recommendations with you. Dr. Bowden feels very strongly about explaining the treatment and the rationale for the treatment of your child. So please do not hesitate to ask any questions you may have about Dr. Bowden’s findings and recommendations. If no treatment is indicated, once all your questions have been answered, the New Patient Coordinator will schedule the next 6 month check up appointment before you leave. You will then receive e-mail, text or telephone reminders prior to the next appointment. If treatment is indicated, the treatment plan and all financial arrangements will be reviewed with you by the Treatment Coordinator prior to any treatment and financial arrangements will be made. Dr. Bowden will give you the option of completing the treatment that same day or scheduling for another day. For your convenience, our office offers same day treatment in the majority of cases and will complete any treatment indicated in a single appointment. Our office can complete treatment in a single appointment which may take up to four appointments in other offices. A number of our new patients have been seen by another dentist and referred to our office when treatment is indicated. 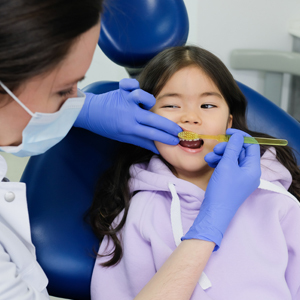 If this situation applies to your child’s first visit, please keep in mind it is still imperative that Dr. Bowden completes his own examination, make his own diagnosis of the dental condition and make his own recommendations for treatment as well as the recommendations for the management of the child. 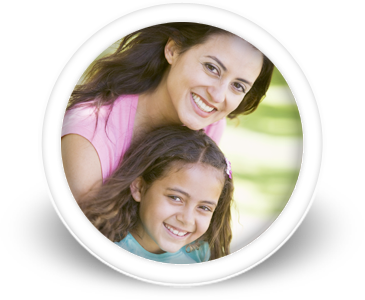 If your child may be a candidate for braces currently or in the future, Dr. Bowden also being an orthodontist will be able to evaluate them and discuss any recommendations. 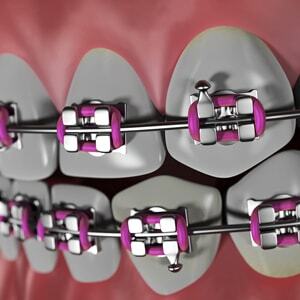 If braces are indicated at this time, Dr. Bowden will discuss this with you and the Treatment Coordinator will answer any questions you have regarding the financial arrangements. 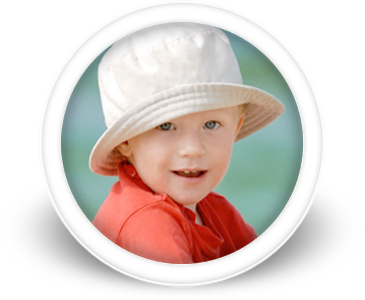 At the conclusion of your appointment, the New Patient Coordinator will give you a tour of the office and show you all the areas where your child receives cleanings, X-rays and/or treatment at each visit. Be prepared to have your hands full when you leave, your child will receive a new toothbrush, prizes, balloons, stickers and soft serve ice cream (yes mom or dad, you can have some ice cream also!!!). We are very respectful of your time and our office strives to be very efficient and run our schedule on time. However, the first visit usually takes a bit longer than other visits due to the nature of this visit. Processing the paperwork, fabricating a new dental chart, verifying insurance and processing x-rays can take some time. In addition, the fact that this office is a pediatric office, it is not always possible to predict the amount of time each patient will require. Please plan on allowing approximately one to one and one-half hours to complete your first visit. 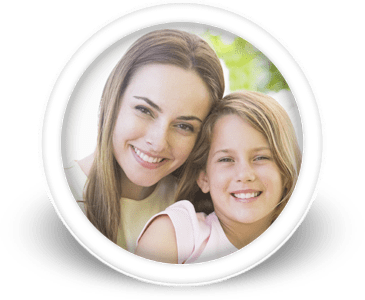 Our promise is that you and your child will receive as much time and attention necessary to insure an informative and quality experience in our office. 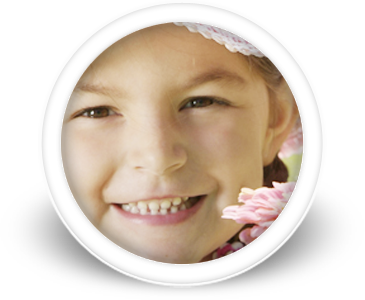 We are also aware that there are a number of choices for dental services for your child. We strive to give the extraordinary experience to our patients in order for you to always call our office your dental home. The most gratifying comment we hear in our office day in and day out is “our child was so excited to get to come to their dental visit today”.